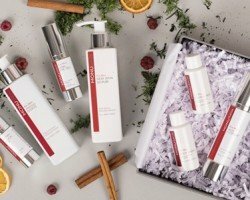 This is a fantastic offer from Monu Natural Skincare, a premium skin care company. Monu Natural Skincare is offering free samples of their moisturizer for your skin. This is a great way to save money for a rainy day. The free skincare samples can be used about 10 times so it's definitely worth the effort to register for the offer. To get the free sample moisturizer all you have to do is LIKE their Facebook page and register your details with them, it's that simple. The free samples take a few weeks to arrive but its certainly worth the wait. You can register your interest for the free samples from Monu Natural Skincare HERE. This is an incredibly popular offer that is snapped up very quickly so hurry. Feel free to forward this post to others who might find it useful. If this offer has expired I will be on the lookout for more offers like this so please subscribe. If you have any questions or comments please leave them below in the comments section.